Deputy President William Ruto has been accused of lying to Kenyans in order for his candidate to win Kericho by-election. Baringo Senator Gideon Moi, on Sunday, February 28, said Ruto’s statement that voting for Kanu candidate in the Kericho by-election would lead the county to the opposition was false. “For those in doubt, I want to state categorically that Kanu signed a memorandum with Jubilee coalition partners that formed the government after the March 4, 2013 general election,” said the Kanu chairman as quoted by The Standard. 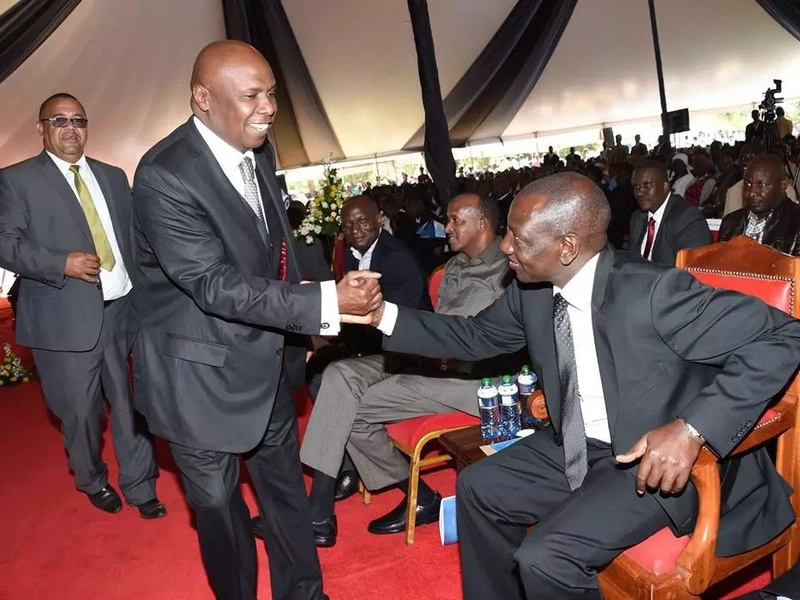 Gideon Moi and Kanu secretary general Nick Salat indeed signed a post election deal with Uhuru and Ruto on April 3, 2013. He was campaigning for Kanu candidate Paul Sang whose main competitor in the Kericho by-election is JAP’s Aaron Cheruiyot. The former minister in retired president Daniel Moi’s regime came second in the 2013 senatorial race while Cheruiyot is making his debut in the county politics. Jubilee is under pressure to retain the seat that fell vacant following appointment of Charles Keter as cabinet secretary for energy. Several political leaders, including members of Ruto’s URP party, have declared support for Sang’. Amani National Congress Musalia Mudavadi and teachers in the county have also backed the Kanu candidate. However, according to an opinion poll conducted by East Africa Dataline Consult, Jubilee’s Cheruiyot would win the March 7 senatorial race by 53% followed by Sang’ with 42%.